To a Sikh, death is reunion with the Beloved Creator; it is a time of joy, because the soul has longed for this moment since it was separated from Him. As human beings, however, we feel sadness at the loss of someone we cared for and loved. The time of death is an opportunity to re-examine and re-affirm our faith and acceptance of the Will of God. A confirmed faith in the reality of reincarnation, and an understanding of the journey of the soul, give us the strength and insight to cope with the death of even our loved ones. The Guru speaks of the cycle of reincarnation, the 8.4 million species of beings, and the ways in which actions, karmas, bind the soul to to this cycle. The soul is not subject to death—death is merely the turning of the page in the book of the soul’s journey from God, through the created universe, back to God again. The Guru instructs us to live with the constant remembrance of death, living the Rehit Maryada. We are to act and interact as if we are about to die in the next instant. We are to maintain a preparedness of mind, a meditative attitude, so that, if we were to die in the next instant, we would be ready to answer for our actions in the Presence of the Dharm-Raj, the Lord of Dharma, the Righteous Judge. Regret and attachment will bind us to the cycle of reincarnation, while meditative balance and detachment will allow us to pass through the stages of release, as our soul finds its way to its true home in God. As the person is approaching death, remind him or her to concentrate upon God and Guru; remind him or her not to be afraid, but to trust in God’s Will and in Guru’s power and protection. Chanting “Akaal” at the time of death guides the soul to pass out of this worldly realm and into the Akaal Purakh, the Undying Being. After death, the body should be prepared for the funeral with a yogurt bath, while the Mul Mantra is recited. Let the yogurt dry on the body; do not wash it off. The body is then dressed in new clothes, a new turban, and the five K’s. While we, as human beings, feel a sense of loss and grief at such times, we are reminded to remember the Guru’s Words and to accept the Will of God. It is a time to contemplate the reality which the Guru has revealed to us; death is a journey home, an escape from this world of illusion and pain, a time when the soul of the Sikh merges with the Beloved Creator Lord. Excessive displays of mourning were specifically discouraged by the Gurus. To console those who are especially distressed at this time, Ramkali Sad (page 823 of Siri Guru Granth Sahib) or Jaitsree ki Vaar (page 706) are helpful. 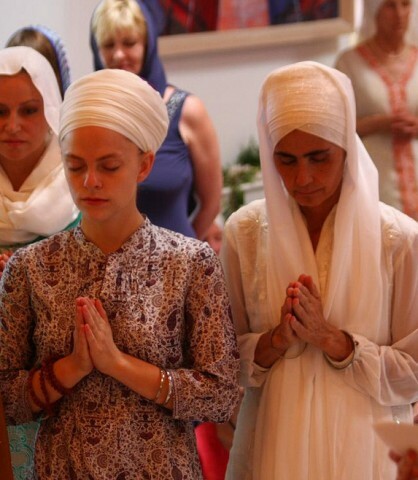 Beginning on the day of death, and for a total of seventeen days, Kirtan Sohila is to be read daily; this facilitates the transition of the soul from the physical body. An Akhand Paath should begin as soon as possible, as can alternative ten-day Sahej Paaths. The events which follow the death of a person vary a great deal, depending on the circumstances of death. Each state and municipality has its own set of laws and procedures governing the handling, preparation, and disposition of the body. As a Minister, you should become familiar with local laws and regulations and procedures, to avoid difficulties and delays at the time of death. Your local laws may differ from those described here. Generally, most municipalities and counties (or whatever political entity governs the “health and welfare” of your area) have one procedure to be followed when death occurs in a hospital, and a different procedure when it occurs somewhere else (home, work, recreation, etc.). When death occurs in the hospital, the attending physician determines the official cause of death, and files a “death certificate.” The body can then be transported to a funeral home, where it is prepared for cremation. If death occurs outside of a hospital or medical facility, it is best to call the police. The body will have to go to the local “Medical Examiner,” a forensic physician who is employed by the local government to determine the official cause of death in such circumstances. This physician may work at a morgue or at a hospital. If the cause of death is not immediately obvious to the Medical Examiner, an autopsy will usually be required by local laws. While an autopsy may be a traumatic and upsetting process to many, it is, unfortunately, not negotiable. It is a detailed examination done to determine if “foul play” entered into the death, and whether or not there is any public health hazard involved. There will probably be questions from the police about the circumstances of death; you may or may not wish to have a lawyer present for these questions. The body is usually cleared for disposition after the Medical Examiner or attending physician has completed the death certificate. Be sure to obtain several copies of this. This can be done after cremation. Check with the local government agency which handles these documents, (i. e., Department of Vital Statistics) or call the Medical Examiner to find out where you can obtain copies. These will be required for many purposes, including, for example, the collection of life insurance proceeds. It is the responsibility of the family to arrange transportation of the body from the morgue or hospital to a funeral home. These arrangements are made directly with the funeral home. Once the body arrives at the funeral home, preparation for the cremation may begin. Be advised that, if an autopsy was performed, the body may have large incisions, crudely stitched sutures, discolorations, and other markings that may be disturbing to children and some family members. As a Minister, use your judgment as to who is most appropriate to assist in preparing the body, and who would be best kept from observing the body until it has been prepared for cremation. Unless an autopsy is required by law, as Sikhs we prefer that an autopsy not be performed, though it is left to personal choice. 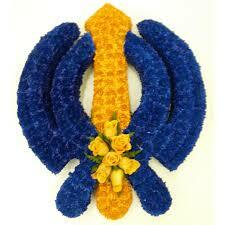 Also, as Sikhs, we prefer to not have any embalming fluid used on the remains of the deceased. Whether the deceased is displayed in an open or closed casket, and organ donation are personal choices. The body is prepared for cremation by rubbing it with fresh home-made yogurt, dressing it in full bana, with the five K’s, and wrapping it in a clean white sheet. A clean white cotton turban might serve this purpose instead of a sheet. Local regulations often require that the body is cremated in a casket. While many funeral homes may encourage the family to purchase an elaborate and expensive casket, a simple wooden casket is most appropriate. The funeral service may be held at the funeral home, or at the cremation site. The funeral home will transport the body to the crematorium. 1) A “Living Will,” which is the common name for a Durable Power of Attorney for Health Care. Although the particulars vary from state to state, this is a document by which a person gives binding instructions for his or her own medical care should one still be alive but have medical or mental conditions making one unable to communicate. In a “Living Will” a person can state how much or how little effort one wants made to keep himself or herself alive. One can also name a person to make the final decision on whether or not to keep one on life-support equipment. A “Living Will” can also confirm that, as a Sikh, one does not want to be embalmed and that one does not want to take part in organ donation. Consult a local lawyer on the preparation of a “Living Will” In many states, simple comprehensive “Living Will” forms are available. Some states require one to renew one’s “Living Will” periodically. 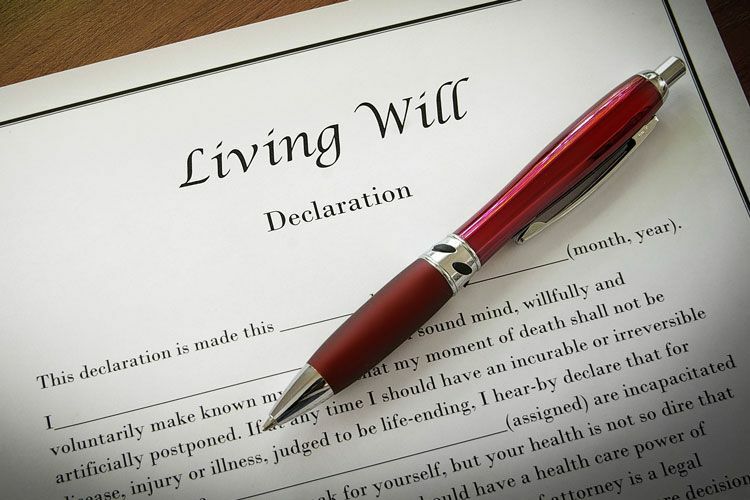 2) A “Will” and a “Living Trust” are documents in which a person determines, prior to his or her death, how his or her affairs will be handled after death. For example, if a person has minor children, he or she can name the proposed guardians. One can also name one person, often called an Executor, to take care of his or her affairs after his or her death in accordance with the instructions in the Will. A person can instruct the Executor to have his or her remains cremated and have final rites according to the practices of Sikh Dharma. He or she can also state how to distribute his or her property after death. A “Living Trust” is used in conjunction with a “Will” when one has more than a modest amount of personal and/or real property. A “Living Trust” usually helps one’s family avoid the time and expense of going through ‘probate,’ which is the court process of approving one’s Will. Since the laws regarding “Wills” and “Living Trusts” vary from state to state, it is best to retain the services of a qualified attorney to properly prepare these documents.